Uncle Mick’s opened its doors in 2009, serving authentic Cajun Cuisine in Downtown Prattville, Alabama. Mickey Thompson opened Uncle Mick’s Cajun Market & Café in February of 2009 in historic downtown Prattville, Alabama. From the beginning, our goal has been to serve our customers authentic Cajun food. Ensuring the authenticity of our Cajun cuisine is something we take seriously. All of our food is cooked from scratch every morning — that’s why we rotate our menu selections and often run out before we close. Not sure about the crawfish or alligator? We encourage our customers to sample a variety of our entrées. Our caféteria-style serving line allows you to pick up your silverware and tray on the right, walk the line, and sample the goods. Pay at the end, have a seat and enjoy! We offer a variety of menu selections and side dishes, served up by the cup, bowl, or plate. If you are on the run, stop by our freezer section and take it home for later. We also offer several specialty items for catering special events and holiday occasions. And while you’re visiting our website, let us help you with pronunciations and ingredients commonly found in Cajun Cuisine. 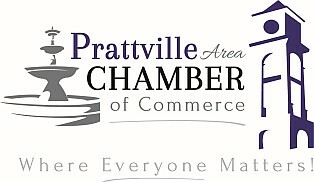 We’re in Downtown Prattville, Alabama!